While I don’t think the writers of the musical Hair were thinking of olive oil when they wrote those lines, they were right on! Since ancient times, olive oil has been extensively used in hair therapy. Olive oil does two things to the hair. First, it increases the strength of the hair. Second, it improves the hair shaft’s overall flexibility. 1. Stimulate and soothe your scalp. Massaging the hair and scalp with olive oil invigorates the scalp and nourishes the hair, leaving it healthier, vibrant and more manageable. Use a small amount and you can leave it in when styling, or, if you wish, shampoo it out. 2. Find a shampoo that contains olive oil. Use a shampoo that replenishes your hair’s natural nutrients. There are many shampoos on the market today that include olive oil or olive leaf extract that rejuvenate and hydrate hair. 3. Condition your hair with olive oil treatments. Depending upon the condition of your hair, I suggest an olive oil conditioning treatment at least once a month. Olive oil penetrates the hair shaft with fatty acids and leaves your hair full and healthy. It’s easy to make your own conditioners for gently counteracting the damaging effect of the sun, hair coloring, hair drying, salt water or chlorine. Warm ¼ cup of olive oil in the microwave and carefully pour over your head. 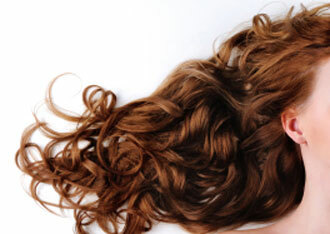 Massage into the scalp and run your fingers through the length of your hair to completely saturate. Shampoo immediately with a small amount of your favorite shampoo. Rinse and shampoo again to completely remove the residual oil. If your hair is extremely dry and brittle, you may wish use this hot oil mixture for a more intensive hair conditioning treatment. Put ¼ cup olive oil in a blender and carefully add ¼ cup boiling water; blend at a high speed until the water and oil has emulsified. While the mixture is warm, massage it into your hair; cover with plastic wrap or a terry towel for at least 15 minutes. Shampoo twice. This treatment adds eggs and peeled cucumber to the conditioning treatment. Eggs contain protein that can fortify the hair shaft, adding strength to damaged hair. Cucumbers reduce shampoo and oil residue. In a blender, mix 1 egg, ¼ peeled/chopped cucumber and 4 tablespoons of olive oil. Smooth the mixture through your hair thoroughly and wrap with plastic wrap. Leave on 10 minutes; shampoo twice. Just a drop of olive oil applied to wet or dry hair can control frizz and create a truly enviable shine. Remember to put only a very small amount (a drop or two) of olive oil in the palm of your hand; rub your hands together and then finger-comb through your hair. Olive oil can prevent dandruff and calm an itchy scalp and it may slow or even prevent hair loss. Although there are no guarantees regarding hair loss, as everyone is different, I suggest that you give this family formula a try to see if the treatment will work for you: Massage your scalp with olive oil every evening for 8 days. Leave the oil in overnight and cover with a plastic shower cap to protect your pillow while you sleep. Shampoo out the olive oil in the morning. Use these tips and get the hair you’ve always wanted. Whether it’s “long, straight, curly, [or] fuzzy,” it will be “shining, gleaming, streaming” - and beautiful - with olive oil!